This entry was posted in Book Reviews and tagged authors by admin. Bookmark the permalink. Hi Lawrence: Can’t wait to check out all those books you mention. As much as I have loved fiction all of my life, I am finding it harder and harder to find novels that really get to me any more. Take care and have fun in all your travels:)! I think we took a few classes together at Rutgers. You’ve certainly taken that PhD to some exciting places. I’m jealous. Me, I mostly write about locks and security. Like Erica, I’m always looking for good fiction, but unfortunately not finding much. Most recently I’ve read everything I could find by Charles Portis (author of “True Grit”, among others). 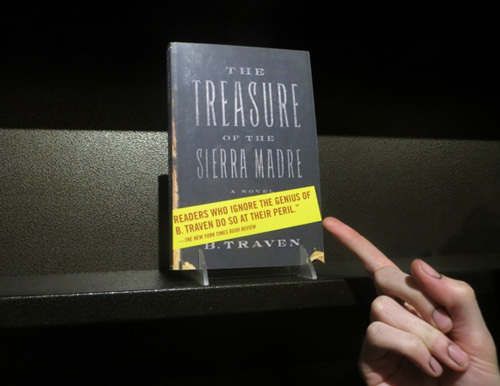 B. Traven sounds like something I would get into, but you know what? I went to my local county library and looked him up in their index system and… nothing. Not one book by him was there to be found. I guess I’ll go to ABE (Advanced Book Exchange) and see what there is to order. Thanks, Mr. MIllman, for the great reviews.